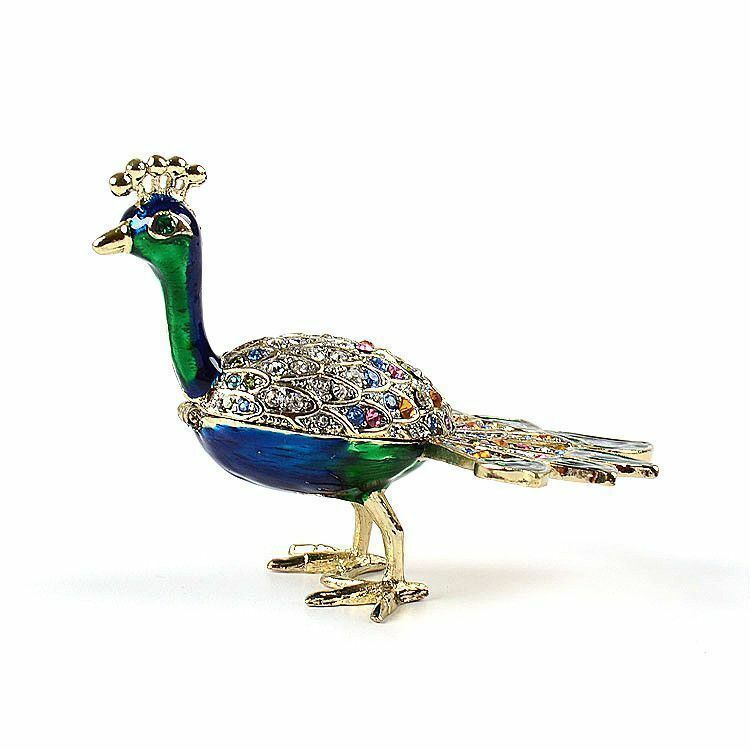 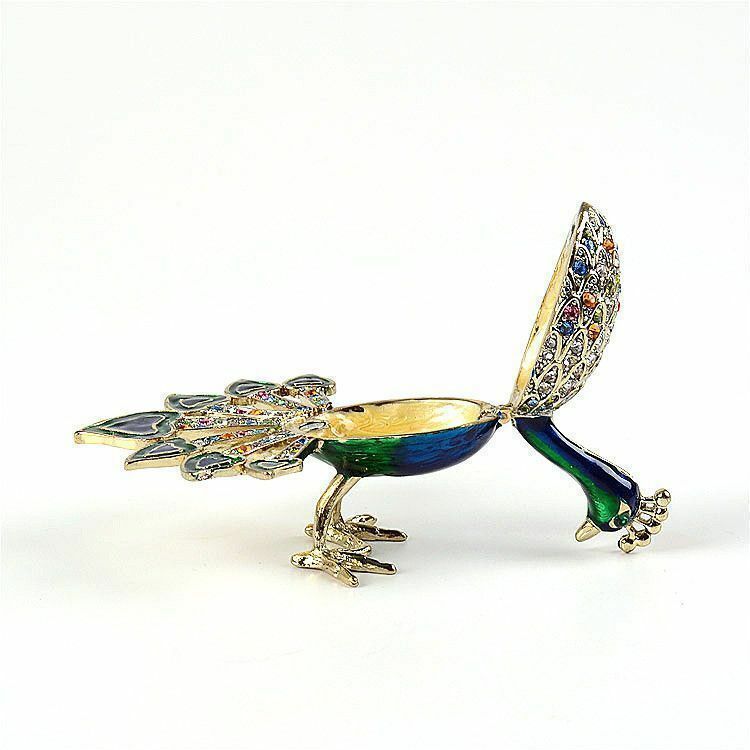 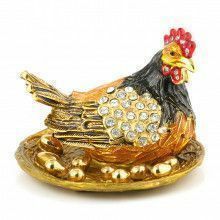 This beautiful and quite colorful peacock trinket box features a 24-carat gold plating. 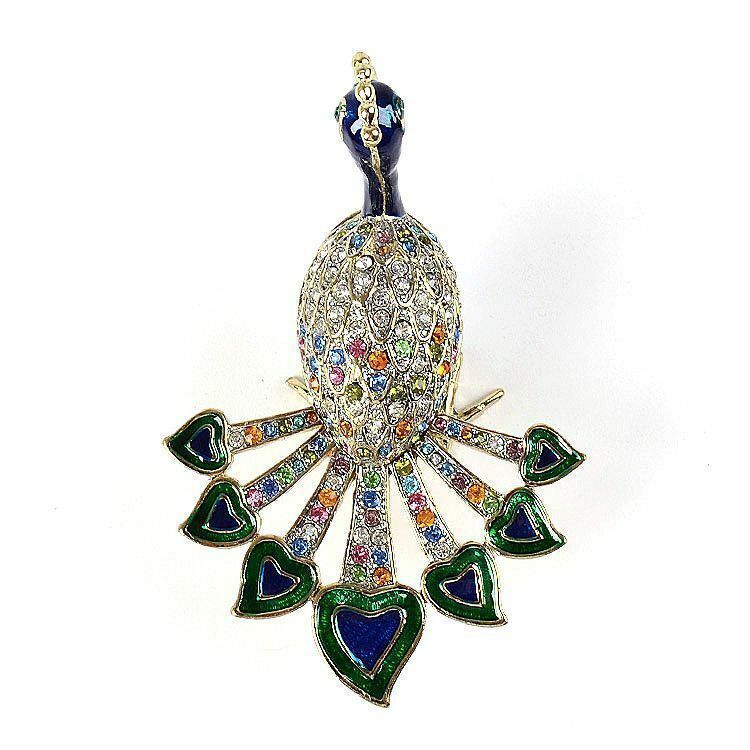 It is decorated with multicolored shinning Austrian crystals, and was hand-painted with a thick enamel like paint. 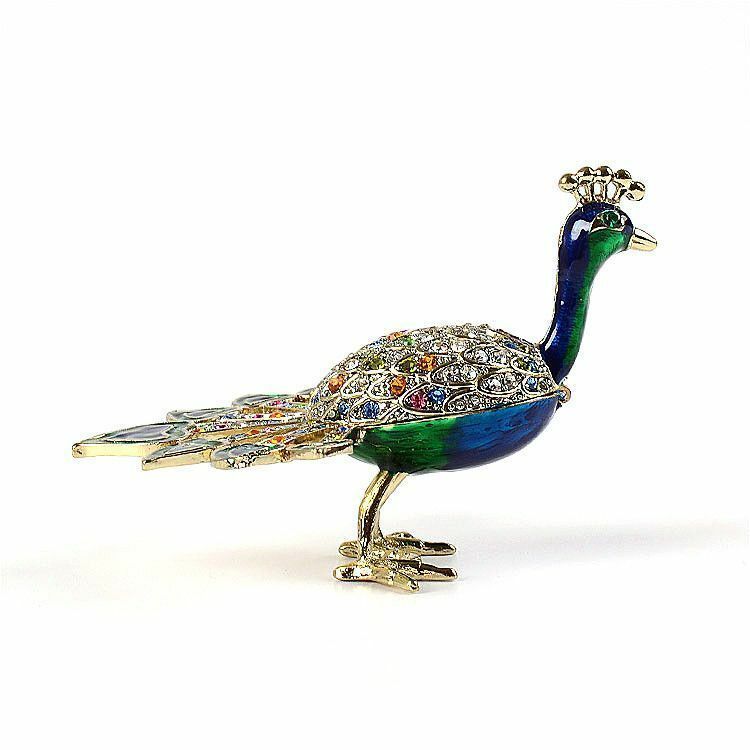 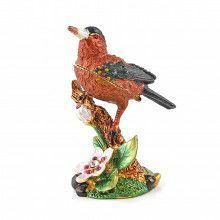 This colorful bird can be used as decoration or as a useful way to store small nick-nacks. 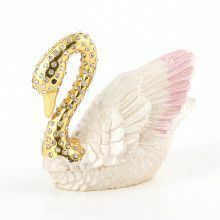 The trinket opens and closes with a magnetic clasp. 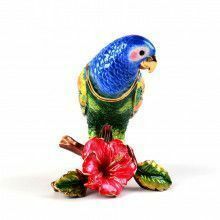 This bird keepsake comes complete in a satin-lined gift box.